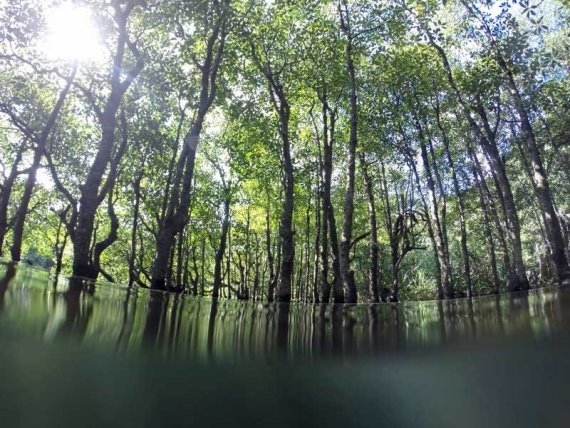 The island of Iriomoto in the far south of the Okinawa group is a remote place of pristine sub-tropical jungle and mangrove, with special vegetation and wildlife. Fascinating jungle walks to waterfalls. 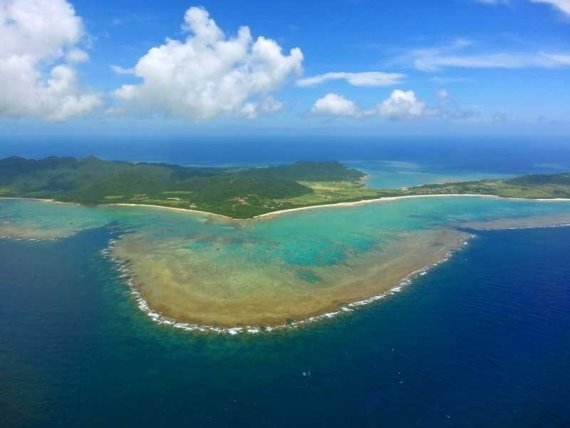 Yaeyama is a group of islands in the far south of the Okinawa group, and therefore of Japan. 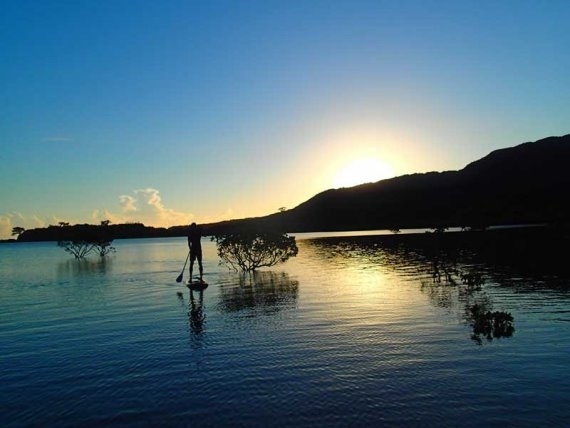 Unlike the tourist popularity of most of Okinawa, Yaeyama, and especially the island of Iriomoto, is a remote place of pristine sub-tropical jungle and mangrove, with (unusual vegetation and wildlife, including the ultra-rare endemic Iriomote Cat. Its highest point of 470m. Iriomoto is a short ferry-ride ‎from the airport on Ishigake, itself home to fine life both on land and under water. 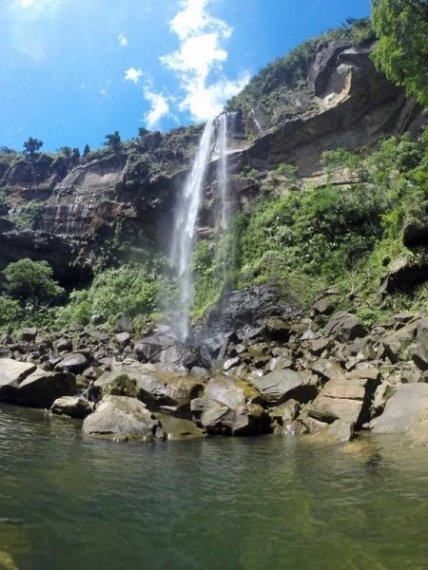 - Yutsun-no-taki waterfall: a 300m climb up a beautiful valley through (perfect forest‎ to a (wondrous high waterfall. Big views, too. 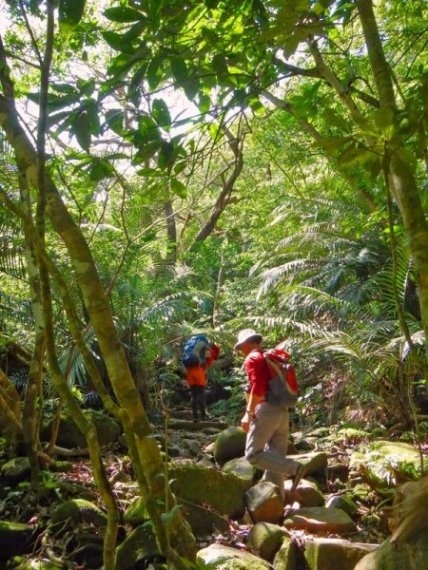 - Pinaisala-no-taki waterfall: ‎another superb jungle walk to the highest waterfalls in the Okinawa group. You can get to the top of the falls, and of course swim in the pool at its base. 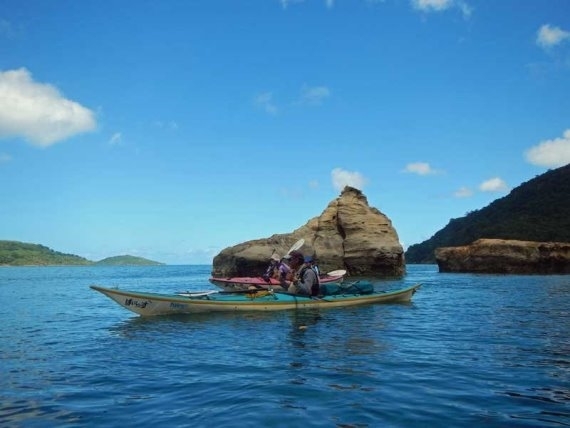 Accessible only by kayak. 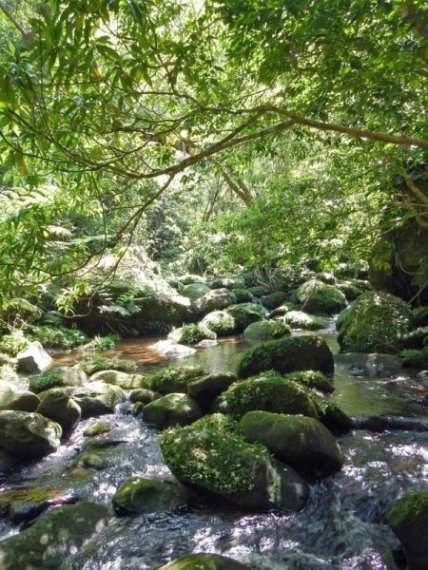 Our friends Walk Japan do an excellent sounding Yaeyama expedition which includes walks here. This page is at an early stage of development. Please help us by making suggestions and sending photos. Thank you!